Its Friday y’all, and we continue on with our Game Changer series. Today is Game Changer #38 Darina Allen. 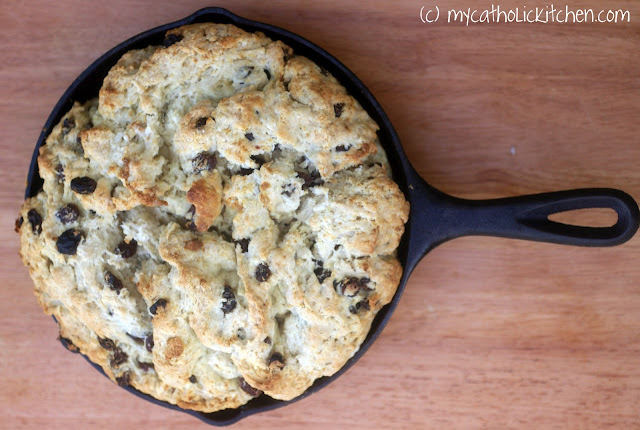 I tried to make her Irish Soda Bread. I think I may have made it wrong. If you click here you can get a visual of what one should look like. I don’t think mine looks like that, do you? You know, I should really be ashamed of myself, being of Irish decent, one would think I would know how to make such things. I blame it on my American Southern roots. This reminded me of a biscuit. It was a bit sweeter and had raisins in it. I slathered each slice with butter and enjoyed each crumb. I am not sure if that is how the traditional Irish eat it but it was very very tasty. Looking back now, I think I should have kneaded it a bit more. Maybe added a bit more buttermilk? I digress, I often do…. So, here is the low down on Darina Allen. Darina Allen is an Irish Chef, food writer, and founder of Ballymaloe Cookery School in Cork Ireland. Darina was born in Cullohill Ireland and is leading the slow food movement. She practices traditional Irish cooking and is putting Irish cuisine on the culinary map. She comes from four generations of cooks, her focus is mostly Irish Cuisine. Her most recent book Darina Allen’s Ballymaloe Cooking School Cookbook reflects that. Darina works and lives with her husband Tim at the Ballymaloe Cooking school which includes over 300 acres of farm which they cultivate themselves. The following bloggers are also featuring recipes from Darina Allen. Please pay them a visit and see what they have to bring to the table. Please join us next week when we feature Ina Garten. Thats right, The Barefoot Contessa. I will be making enough Irish Soda Bread to feed at least one hundred next week for our little church’s Corned Beef and Cabbage St Paddy’s Day Dinner … yup, I’m making spotted dog too. But mention in your article link of adding caraway may be a fun savory alternative for the folks that don’t care for raisins! Good post, Veronica! I buzzed you on Foodbuzzzzzzzz …. I think your bread turned out beautifully! I love it in the iron skillet, that’s a great touch. I enjoyed my brown soda bread, but it turned out a bit ‘primative’ looking, too. I think that’s the nature of soda bread. Ah who cares it does not look like the picture. I think yours has a lovely rustic look to it and it is so pretty in the cast iron pan. It looks really good. 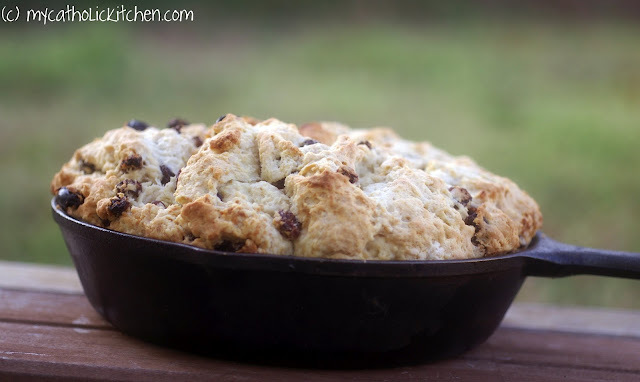 L love rustic bread and yours looks so inviting baked in the iron skillet. Love how simple and rustic this bread is! Frankly, I love the way yours turned out!! Very unusual and fun. I think your bread looks lovely. 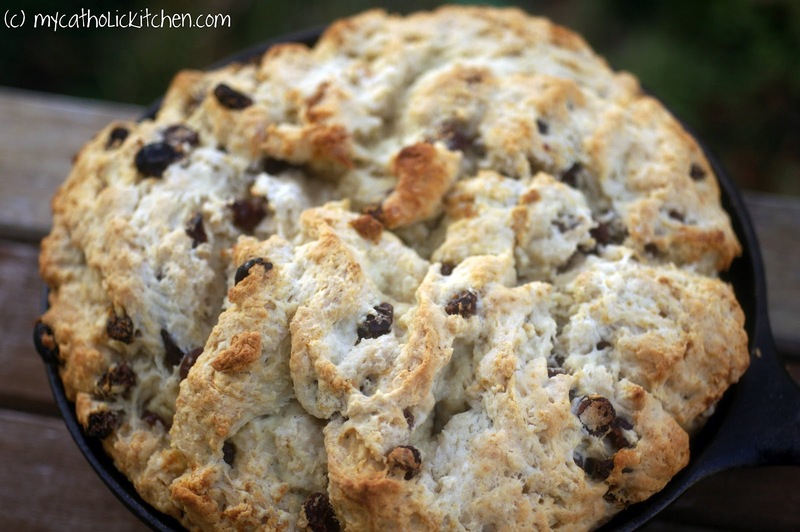 Some of the soda breads I’ve eaten do have a texture similar to a biscuit. Eating it with lots of butter sounds perfect! Have a nice weekend! Hahah who cares if the soda bread doesn’t come out the way it’s supposed to? Yours looks very pretty as it is and I’m sure it tasted as amazing. I know the puzzling feeling of how dishes that are supposed to be in your blood don’t turn out the way they’re supposed to. I just brush it off as my own little special twist and enjoy it nonetheless 😀 Your pictures, btw, are gorgeous! 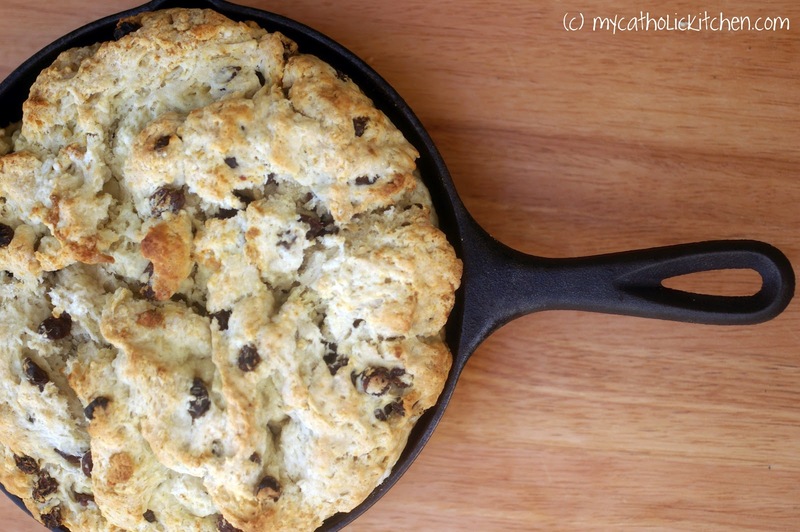 Irish Soda bread isn’t too far off from a biscuit, really. I think yours looks wonderfully rustic and I would gladly cut myself off a slice. Beautiful! This time of year always makes me wish I was Irish! I dream of visiting Ireland and eating my way from one end of the country to another! It just strike me your mix was a little wetter than it needed to be. There is a fine line between too wet and too dry.. I think it looks pretty good and I am sure it tasted wonderful. 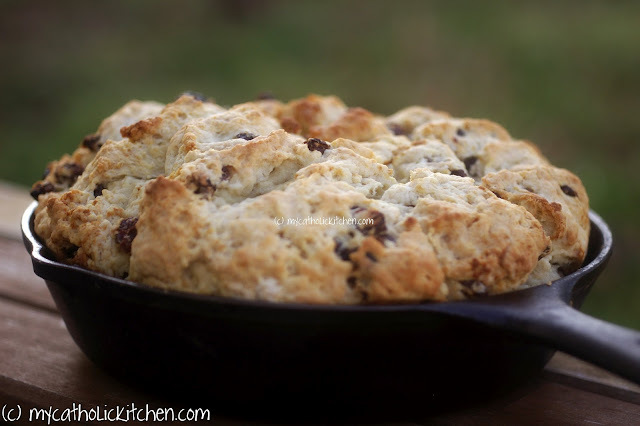 When I think about it this recipe epitomizes what Ms. Alllen and her cooking school are all about, simple, tasty Irish fare! Right or wrong, it looks beautiful. I think this looks delicious! I’m not Irish, but my husband is and I so love to visit! Hi Veronica, this looks like good bread. I’m a big fan of Darina Allen and all she has done for Irish food. One of the first ever cookbooks I bought was by Myrtle Allen of Ballymaloe, Darina’s mother in law, also a bit of a mover and shaker in the Irish food scene. As long as it tasted good what’s it matter what it looks like?! 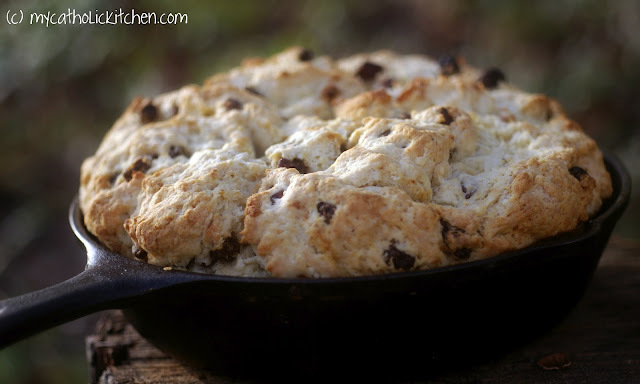 I would be unable to have any willpower around this bread as it sounds and looks so yummy!